I was so inspired by Emily Fiffer's Postcard on Camp Wandawega. 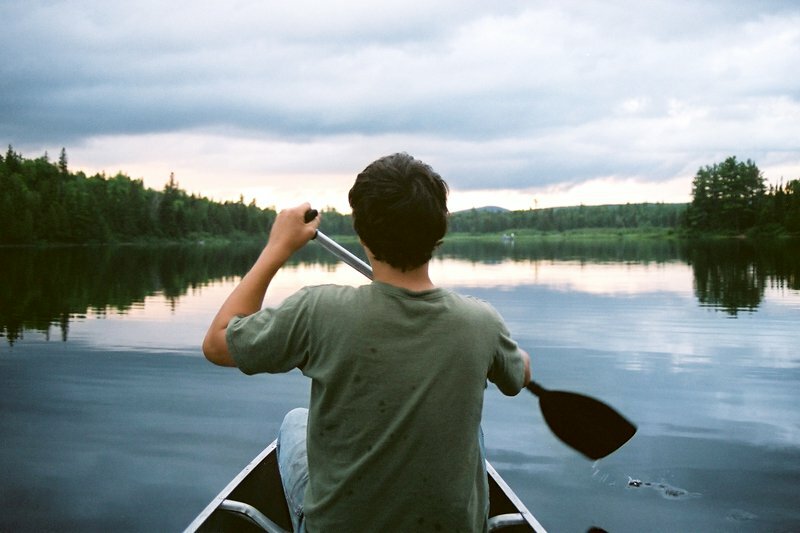 I spent hours clicking through the website, dreaming of plaid shirts, campfires, and canoes. I never had the consummate American camp experience when I was a kid, and I've always missed it. My mother was Italian and, as far as we could tell, only Jewish parents sent their kids to camp for the summer. (And WASPs, I later learned when I got to prep school.) I can't complain, because I got to go to Italy instead. But I was young and stupid. Any cool cred earned in Rimini in late August would drown in waves of jealousy in early September when my pal Wesley started talking about her adventures at Cape Cod Sea Camps. Freedom! Boys! Sailing! Rugby shirts! Ripped jeans! That was living. My single camp experience involved one week of tennis camp at Peddie School in Highstown, New Jersey, which was located 32 minutes from my family home. I was almost 13, and I packed two suitcases with a lot of Flashdance-ripped sweatshirts. I had my first kiss on the last night of camp when the boys raided the girls' dorm, two events notable only for their extreme boringness. A month later, I failed to make the J.V. tennis team. Mine was an unquestionably pathetic camp experience. What was not a pathetic camp experience was the virtual one I had watching Meatballs, starting Bill Murray as the charming honcho of the loser camp. And Little Darlings, with the impossibly cool Tatum O'Neill and Kirsty McNichol competing over who'd be the first to lose her virginity. In the early days of HBO, these movies were on endless loop, and I caught every showing. Don't get me started on Dirty Dancing, which came out a few years later when my classmates were cool prep school seniors awkwardly attempting the dance moves at barn keggers. I may never have camp as a teenager, but I'll have it in the movies.